Those three pieces together – data access logic, business logic, and presentation logic – comprise a concept that’s sometimes called the Model-View-Controller (MVC) pattern of software architecture. Controller. A controller is the heart of the system, it steers everything. 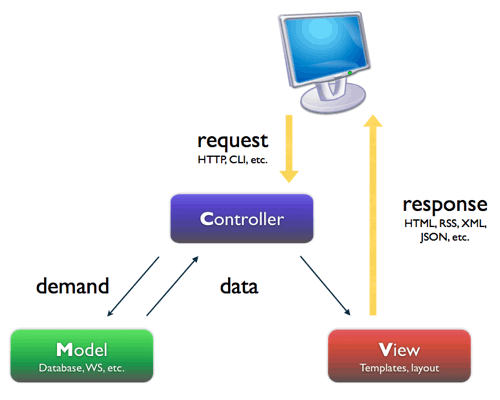 For a web framework, this means handling requests and responses, setting up database connections and loading add-ons. For this, Django reads a settings file so that it knows what to load and set up. And Django reads a URL config file that tells it what to do with the incoming requests from browsers. Model. The model layer in Django means the database plus the Python code that directly uses it. It models reality. You capture whatever your website needs in database tables. Django helps you write Python classes (called models) that tie 1:1 to the database tables. M stands for “Model,” the data access layer. V stands for “View,” the business logic layer. Django saves you time and makes Web development a joy. Using Django, you can build and maintain high-quality Web applications with minimal fuss.Django’s modularity also allows easy scalability and enables the reuse of various code blocks, under the policy of “Don’t Repeat Yourself”. Its primary goal is to ease the creation of complex database-driven websites.